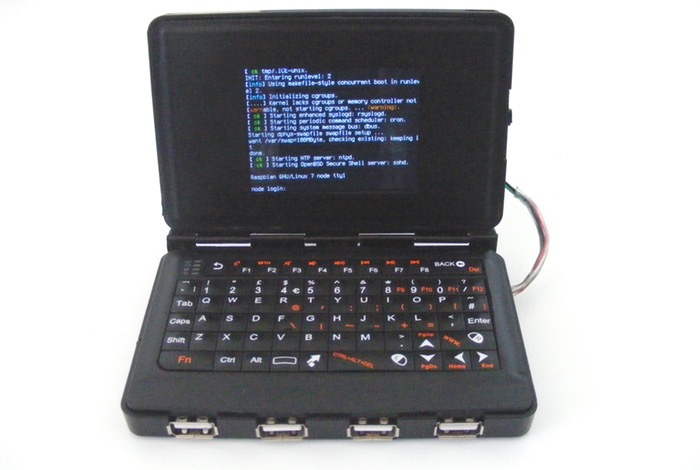 Chris Robinson over at Node has created an awesome Raspberry Pi powered handheld Linux terminal that is small enough to drop into your pocket and is also battery power providing the ultimate portable solution. Its equipped with a small PiTFT 2.8” Raspberry Pi Touchscreen and powered by a Raspberry Pi A+ that has been stripped down to the components that are required with everything else being removed. “I initially made it because I thought it’d be cool to fit down into such a small form-factor, but it also has some interesting purposes. 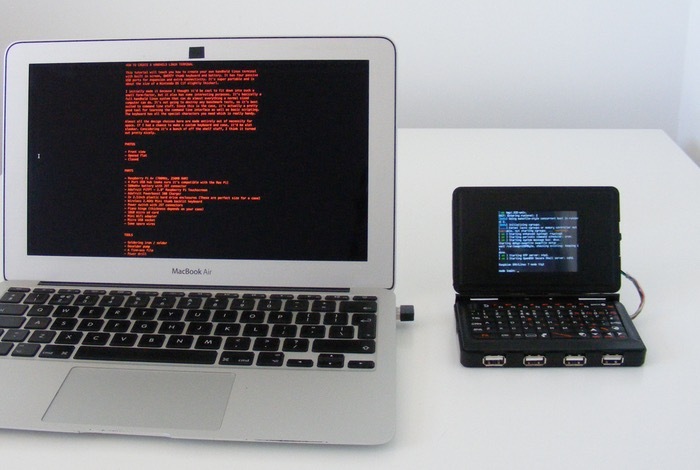 It’s basically a full handheld linux system that can do almost everything a normal sized computer can do. It’s not going to destroy any benchmark tests, so it’s best suited to command line stuff. Since this is the case, it’s actually a pretty good tool for learning the command line interface as well as basic scripting. The keyboard has all the special characters you need which is really handy. Robinson is also considering developing the project to include an open source touchscreen phone using Adafruit’s Fona all-in-one cellular module, which when created we will bring you details of. In the meantime for instructions on how to create your very own Raspberry Pi A+ powered Linux handheld jump over to the Node website for a full list of all the components that you will require together with detailed instructions on what you need to do.